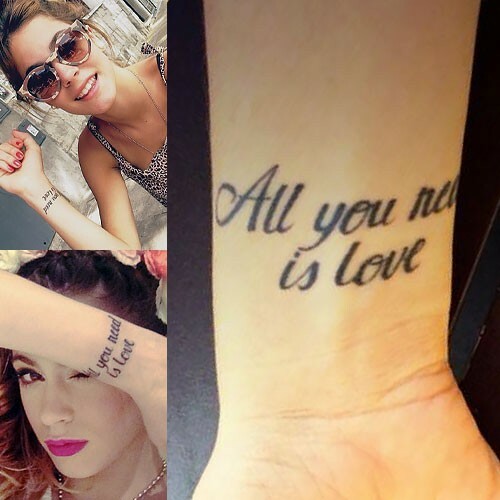 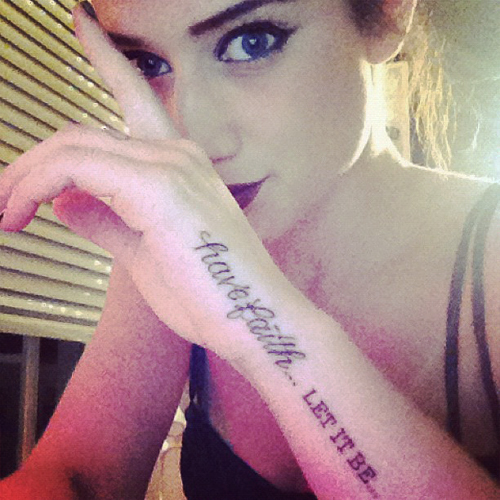 Tini Stoessel’s wrist tattoo says “All you need is love” which is the title of a song by The Beatles. 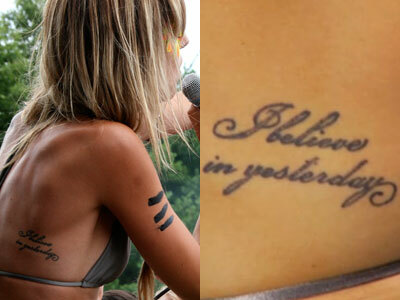 She got these lyrics tattooed on her right arm by artist Mariano Antonio in September 2013. 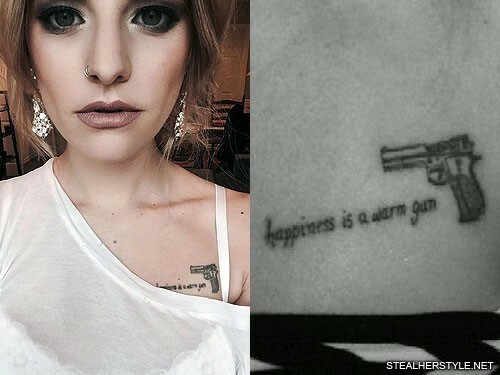 Evan Rachel Wood has a diamond and swirls on the inside of her right ankle, covering up a previous tattoo. 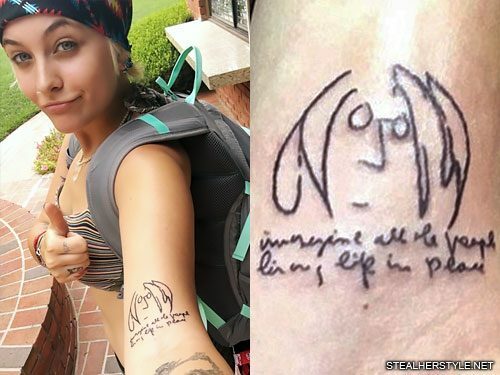 It’s inspired by the songs “Shine On You Crazy Diamond” by Pink Floyd and “Lucy In The Sky With Diamonds” by The Beatles. 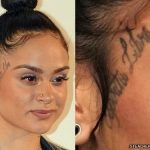 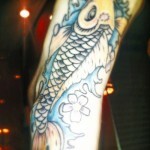 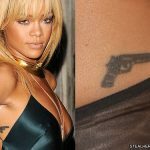 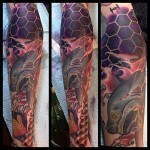 With the cover-up she narrowed it down to just one theme and went for a clear and obvious shape.